So you have a blog, have a decent reader base and now you are trying to monetize it. You are already using Adsense and some other ad networks and making few dollars from it. But a decent income from Adsense needs lot of traffic and with your current traffic level you may not able to generate more than a few hundred dollars per month. Have you ever thought about redesigning your blog business model? Have you tried to make more money by utilizing the existing traffic? Have you heard about affiliate marketing? If you learn the strategies of internet marketing and execute it properly, you can convert your blog which is making peanuts now in to a business which earns you a full time income. Over the next few days I’m planning to post a series about affiliate marketing, lead generation techniques and a few affiliate programs that you might wish to try out and then will give some tips as to how to use them most effectively. Is my blog suitable for affiliate marketing? Affiliate marketing may not be suited for every kind of blogs. It seems to work best when there’s a relationship with trust between the blog owner and his readership. If you have a good percentage of daily visitors and if you are maintaining a good relationship with your readers then adding affiliate marketing to your business model will be excellent. Even if you are not yet interacting with your readers there is no need to worry, time isn’t late, start engaging with them today itself! Affiliate Marketing is a method of promoting a product or service in which an affiliate is rewarded for every website visitor, subscriber, customer and/or sale provided via their efforts to the actual business selling the product or service. At its most basic, affiliate marketing is quite simple. An internet business owner partners with one of more affiliates. These partners/affiliates then send leads to the website and are paid for doing so. This system is typically managed by a third party who ensures that contractual obligations are met, payment is made and that the process is seamless. There are different types of affiliate marketing, we can see each of them in detail. Pay per click – In pay per click marketing every time a potential customer leaves the affiliate’s website by clicking on the link leading to the merchant’s website, a certain amount of money is earned by the affiliate. The affiliate gets paid a certain amount even if the visitor he referred does not purchase anything from the merchant’s site. However, earning for PPC affiliate programs are typically small, usually less than a dollar for every click. Pay per sale – In pay per sale marketing model, the affiliates gets a commission when a sale is made from their website. If a customer follows an affiliate link to the advertiser’s site and makes a purchase in accordance with the affiliate agreement, the affiliate is paid. The earning will be higher than pay per click marketing, but generally the conversion rate is less. Pay per lead – A lead is generally a signup involving contact information and perhaps some demographic information; it is typically a non-cash conversion event. 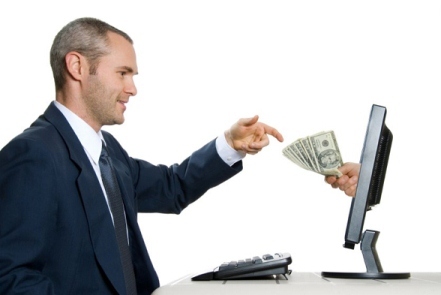 Pay per lead is a favorite marketing model for many webmasters. The reason why there is huge demand for these kinds of programs is because there is no need of sale. Usually pay per lead programs are designed to promote free services or products, or free download kind of programs which allows the sellers to capture certain information of the visitors. The earning per lead will be less than pay per sale, but the conversion rate of pay per lead is high because since there is no need for any purchases, visitors are more interested to sign up for offers. Residual Income – Residual income affiliate programs are those affiliate programs in which you are paid a commission each time a recurring payment is billed to the customer you referred. Once someone has made a purchase through one of your links, they are “tagged” as belonging to you, and you’ll get paid a commission on anything else they buy in future from the merchant. Popular examples of these kinds of affiliate programs are membership site, newsletter services, dating sites etc. All these methods are useless unless until you have a very strong reader base. Most of the affiliate marketer firstly try to develop it’s reader base then they with affiliate marketing. Yes, affiliate marketing is not suited for every kind of blogs. It will work only if the blog have a reader base and blog owner maintains a good relationship between the readers. Yes affiliate marketing is not suited for every blogs. You are right Brock, trust is the most important thing in affiliate marketing. Getting personal and helping readers to solve their problems is the best way to build trust. Many people still thinks that placing some affiliate banners all over the blog is the only thing needed in affiliate marketing, but they will hardly sell any products. So the first thing we need to develop is a good relationship with our readers. I agree on Rakesh Kumar. Affiliate Marketing bust first be developed on reader’s for this to grow. Affiliate marketing is powerful. I think making money through affiliate marketing is a hundred times more effective than making money through other ways such as adsense. Steve Pavlina makes all his money through affiliate marketing. The only moral responsibility is to make sure one promotes affiliate products that they believe in and know to do what it says. You are right Brian, but unfortunately many bloggers didn’t realise the potential of affiliate marketing. Also we have promote quality products only. When it comes to affiliate marketing our best “bet” is to promote a quality program that we had actually tried our self. There is no hope for new bloggers in affiliate marketing. And generating a strong readership base is not a silly thing. For me, Affiliate Marketing is so hard for beginner, but you can get much money if you have more experience. Affiliate marketing is something I haven’t tried yet. However one can make a lot of money through it. Nice article. Thanks for the response Sandipan, if done properly affiliate marketing is the best way to monetize a blog. Affiliate marketing is the best known way to earn money from blogging but the only problem is it needs a great readership with great interaction. Usually it suites the blogging tips, fashion and health niche. Glad to know that my article helped you. I am grateful for this blog post of yours about affiliate marketing, as it tackled the topic on how to know if a blog is suitable for affiliate marketing. Of all the affiliate marketing types you mentioned, I guess for me the most profitable would be residual income, but I guess it still depends on the type of blog that we have. Others can earn big whenever someone clicks and buys, right? In the end, it still depends on how large your readership base is. Good explanation of the different types of affiliate marketing, Rojish. I have heard that with Residual Income, in some cases, it is possible to keep receiving payments even after selling the site. I think affiliate marketing is much more effective when it is not a blog related to MMO niche. Other low competitive niches tend to perform really well for affiliate marketing, especially if you are using a service like Amazon. I was wondering on a similar note,, Maybe the whole concept of affiliate marketing just sounds too good to be true, but some people are making a good living at affiliate marketing. Thanks for that, There is no doubt that article marketing has been proven that it is the most effective affiliate marketing traffic generation strategy to boost your reputation, creditability, reliability and your affiliate commission. The major reason why article marketing is one of the best affiliate marketing traffic generation strategies is that both of article marketing and affiliate marketing business are the content-driven online business. You will discover why the article marketing is a must for your home based affiliate marketing business and how to success in the article marketing below.